what happened to the lunch i was supposed to buy you? sigh. .
good luck in upstate new york (again). you two better start making tracks, because big and spooky states lie ahead of you (e.g. the dakotas). you're right...that is the most pathetic cannon flip I have ever seen.....wait, I've never seen a cannon flip performed, so it might be perfect. I'm looking forward to meeting you guys when you make it to the midwest! 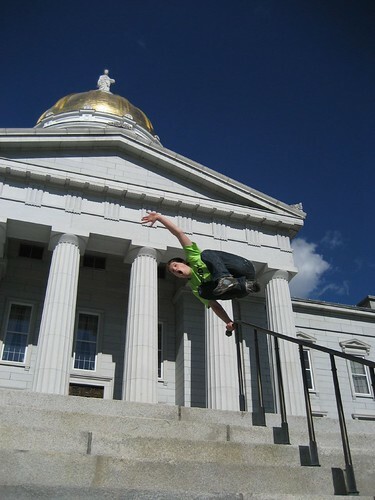 montpelier is my home, although i am currently stuck in tallahassee...another state capital! keep me posted and if i am around when you reach this trashy southern state i will show you around i will try and help you out.